The combined Russian-separatist forces in Donbas, eastern Ukraine, attacked Ukrainian troops 49 times in the past 24 hours; in particular, 24 attacks were recorded in the Mariupol sector, 19 in the Donetsk sector, and six in the Luhansk sector, according to the press service of the Anti-Terrorist Operation headquarters. "The situation in the ATO zone is tense but under control," the ATO HQ wrote on Facebook on Sunday morning. "The enemy shelled our positions, using the weapons banned by the Minsk agreements. It fired 29 mortar bombs and four artillery shells in separate incidents," the ATO HQ said. The Ukrainian positions near the towns of Krasnohorivka and Maryinka and the villages of Novotroyitske and Berezove came under militant mortar fire, while Ukrainian troops deployed near the villages of Vodiane, Hranitne and Taramchuk were shelled with the use of large-caliber machine-guns and grenade launchers of various systems. Areas near the town of Avdiyivka and its industrial zone were the hottest spots in the Donetsk sector. 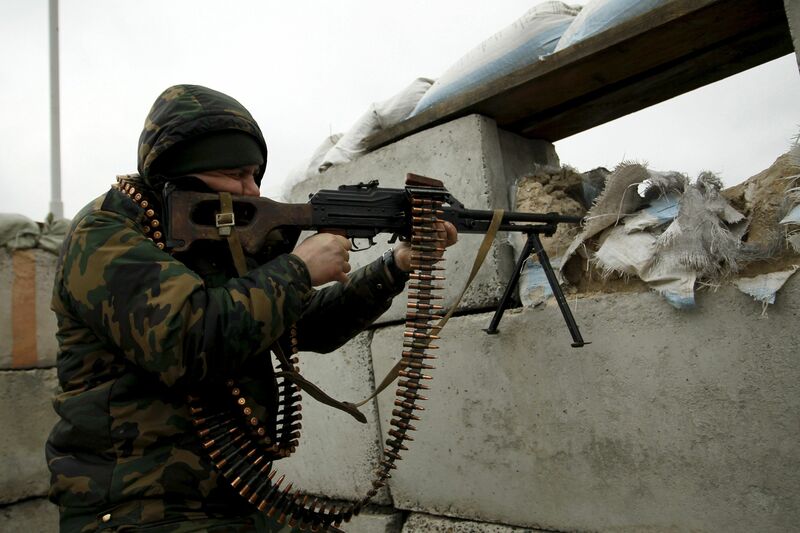 Russian proxies used machine-guns, grenade launchers, anti-aircraft guns, and mortars there. "In those areas, the enemy fired about 400 mortar bombs and gun shells from 21:00 local time on Saturday to midnight. The [Ukrainian] strongholds near the village of Opytne and Putylivska coal mine came under artillery fire," the ATO HQ said. Read alsoATO HQ: Russian proxies attack Ukraine 46 times in last dayRussian mercenaries twice attacked the Mayorsk checkpoint near the occupied town of Horlivka, using mortars. They also fired mortars, machine-guns, grenade launchers of various system on Ukrainian troops near the villages of Nevelske, Mayorsk, and Zaitseve. In the Luhansk sector, militants shelled areas near the villages of Novozvanivka and Novo-Oleksiyivka, using small arms and grenade launchers.